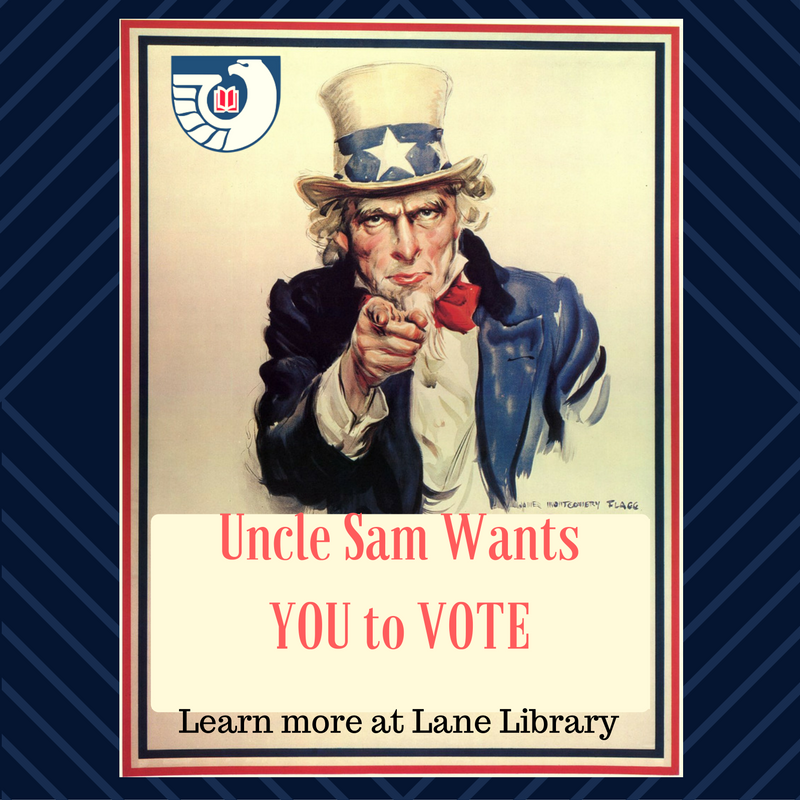 Notes from Lane Library: Registered to vote? This week on campus we were fortunate to have the League of Women Voters here registering students for National Voter Registration Day. If you missed it, don't worry; we have you covered. Check out the links below on voter registration to be certain that you are ready to vote on November 8th. vote.gov: Information for all states on voter registration deadlines, whether or not your state has online registration, along with a paper registration that you can print and mail in if your state does not accept online forms (FYI, Wisconsin does not). Verify your registration: Choose your state and check your voter registration status. Resources for Voters: U.S. Election Assistance Commission has a wide variety of information on everything from early voting, absentee voting, becoming a poll worker, voter guides and more. Looking for data and statistics on past elections? Voting and Registration from the US Census: In election years, the Current Population Survey collects data on reported voting and registration, and later reports statistics by turnout, age, race and origin in various reports and graphics from the US Census. Information on U.S. Electoral College: National Archives has a wide variety of resources on the FAQs of the Electoral College, historical election results, interactive maps to make predictions for upcoming election and more. American Presidency Project: The American Presidency Project (APP), non-profit and non-partisan, is the leading source of presidential documents on the internet. Our archives contain 118,796 documents and are growing rapidly. Find data, graphs and other information about every presidential election in American history. As always, if you have any questions that are not covered here or need assistance finding information, contact a librarian.